Yahoo Fantasy Football allows you to draft a team and compete against fantasy owners from all over the world. 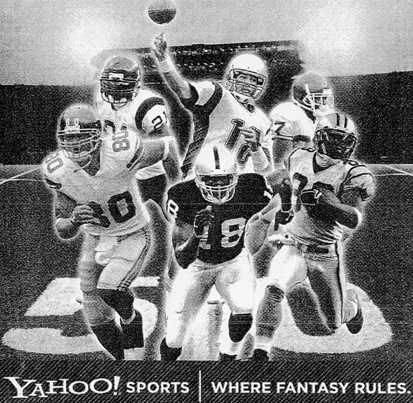 Yahoo Fantasy Football 2008 is available during the entire NFL regular season, which begins on Thursday, September 4th, and runs through Sunday, December 28th. Owners can sign up as early as June, and fantasy teams can even be created as late as October. In addition to the normal features you might expect from a fantasy football website, Yahoo fantasy leagues also include features such as keeper leagues, custom draft order, pop-up player notes, smack talk and custom team logos. Fantasy football continues to grow in popularity, and it�s a great excuse to follow teams and players that you wouldn�t otherwise. After only a few seasons of competing, you�ll be telling war stories and anecdotes like an old fantasy football pro. So why not join one of the Yahoo free fantasy football 2008 leagues, and see what all the fuss is about? Once you�ve decided to participate in a Yahoo Sports fantasy football league, you�ll need to decide which type of league you�re going to compete in. You can choose from the Public League or the Custom League. Joining a Public League is ideal for players who don�t know enough owners to build a league of their own. Simply sign up, and Yahoo will place you in a league filled with fantasy football fans from around the globe. You�ll even be able to choose the type of league you end up in by selecting an experience level and type of draft. Keep in mind that all public leagues use the same scoring system, and it cannot be customized. If you create a Custom League, you�ll be able to customize almost every feature on the site. In addition, you�ll be able to select the owners you want in your league by sending them an invitation and a password. Custom leagues are normally free, but they�re also pretty plain when it comes to extra features. By paying a fee of $24.99, you can upgrade your team to Yahoo Fantasy Football PLUS. This gives you access to Yahoo�s stat tracker, draft kit and scouting reports. This is a great option for the serious fantasy football owner. Yahoo fantasy football does not limit you to a fixed number of leagues. In fact, you can participate in as many as you want. Obviously, free Yahoo fantasy football leagues cost nothing to play, while upgrading to Fantasy Football PLUS runs $24.99 per team. If you purchase more than one team, you�ll receive a 50% discount on each additional team. An entire league (up to 20 teams) can be purchased for only $124.99, and each owner will receive the benefits of Yahoo Fantasy Football PLUS. In addition to deciding whether to compete in a Yahoo free fantasy football league or pay league, you�ll also need to determine if prefer a Points League or Head-to-Head League. Choose carefully, as this can make a big difference when deciding the winner of your Yahoo fantasy football matchup. The first option is the Head-to-Head League. In this version, players start a weekly lineup and are matched against another team in the league. The team which scores the most points is victorious, and wins or losses are reflected by a team�s overall record. Some leagues will have an elimination tournament at the end of the season, and the teams with the best records will be eligible to compete. In other head-to-head leagues, the team with the best overall winning percentage will be declared the champion at the end of the season. The other option is the Points League. Each week, every team in the league sets their lineup, and points are tallied each week throughout the season. 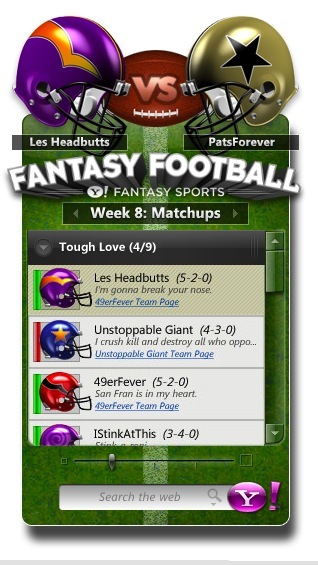 At the end of the Yahoo fantasy football season, the team with the most overall points is declared the winner. 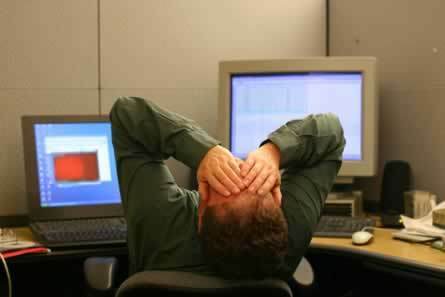 Before you can manage a Yahoo fantasy football team, you�ll need to actually draft your players. Luckily, Yahoo offers several ways to accomplish this. The first option is to participate in a Live Online Fantasy Draft. Each team gets to pick an NFL player in real-time, and the draft continues until every roster is full. The draft order is reversed each round, so a team that picks last in the first round will pick first in the second round. If you prefer to draft your team in person, you can always choose to hold an Offline Draft. Once the draft is complete, the commissioner can use a simple tool on the website to enter the players onto each team�s roster. Finally, you can also choose to have an Autopick Draft. In this style of draft, the computer selects the best available player for your team. You can personalize the Yahoo fantasy football rankings, or you can just let the computer use the default settings. Each week of the Yahoo fantasy football season begins on a Tuesday and ends the following Monday. All transactions, which include free agents, waiver claims and trades, must be completed by 11:59 pm PT each Sunday. If a player has been started in your lineup, he cannot be edited if his game has already begun. Starting players can be edited up to five minutes before their game, while bench players can be dropped from your team at any time. Dropped players are placed on waivers, and they can be claimed by any other team in the league. If multiple teams claim a player, his new owner is determined by the Waiver Priority List. The more players you pick up, the further down you�ll be moved on the waiver list. Players who clear waivers are available on a first-come, first-served basis. In addition to the Yahoo free fantasy football basic features, owners can also add on various bells and whistles for an additional fee. Keep in mind that upgrading to Fantasy Football PLUS for $24.99 will give you all of the features listed below. StatTracker – This feature allows you to check on real-time fantasy football scoring throughout the league. Without the StatTracker, you�ll have to wait an extra day or two to find out how your team did. The add-on costs $9.99 and requires Flash 7 or higher. Draft Kit – Filled with Yahoo fantasy football rankings, this guide is updated through September and gives you information on injuries, news and player analysis. An excellent tool for those who have an upcoming fantasy football draft. Costs $9.99 and Adobe Acrobat Reader is also required. Early Advantage Kit – For $14.99, you can get both the StatTracker and Draft Kit. Scouting Report – While the Draft Kit will give you lots of valuable info prior to your fantasy draft, the Scouting Report will keep you informed once the season actually starts. Each week, you�ll receive player news and match-up advice for the Yahoo Fantasy Football 2008 season, and it only costs $9.99. Adobe Acrobat Reader is also required. When the first week of the Yahoo football fantasy season begins, your team will score points based on their on-the-field performance. Basic scoring is the same for both Points and Head-to-Head leagues. The scoring for Yahoo fantasy football public leagues cannot be changed, but Yahoo custom leagues can be altered to suit your needs. At the end of the season, the winner of each Yahoo fantasy football league will be awarded with their choice of a championship T-shirt or a cool bobblehead doll. These prizes are only awarded in the pay leagues, so players in a Yahoo free fantasy football league will just have to be satisfied with bragging rights (plus any money that may have been set aside by their individual league). To be eligible for prizes in the Yahoo Fantasy Football PLUS leagues, you must be at least 18 years of age. Residents of Arizona, Florida, Maryland, Vermont, Montana, Louisiana, New Jersey, Tennessee and Arkansas are not eligible. While company employees and their families are also ineligible to receive prizes, they are welcome to participate in fantasy football on Yahoo. If you�re a big fan of fantasy sports, you might also be interested in the wide variety of other online games offered by Yahoo. For example, UK Yahoo fantasy football focuses on the �other� major brand of football (soccer), while Yahoo! Games offers more traditional diversions like chess and backgammon.